Clipping Chix: Home Depot: 2-Gallon Homer Paint Buckets only $1 + FREE Shipping to Store! 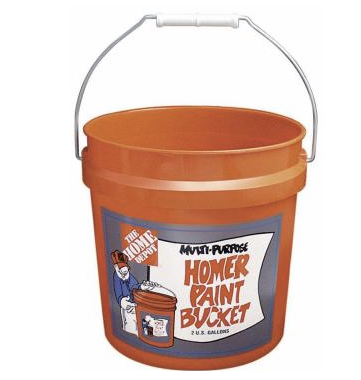 Home Depot: 2-Gallon Homer Paint Buckets only $1 + FREE Shipping to Store! This deal is still available!!!! Select Home Depot locations are offering up 2-gallon Homer Paint Buckets for just $1, plus possible free in-store pick up – if available near you. Just type in your zip code to see.